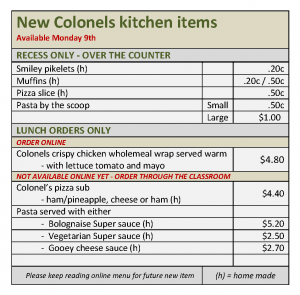 REMINDER – NEW CANTEEN PRICES BECAME EFFECTIVE SEPT 1ST. 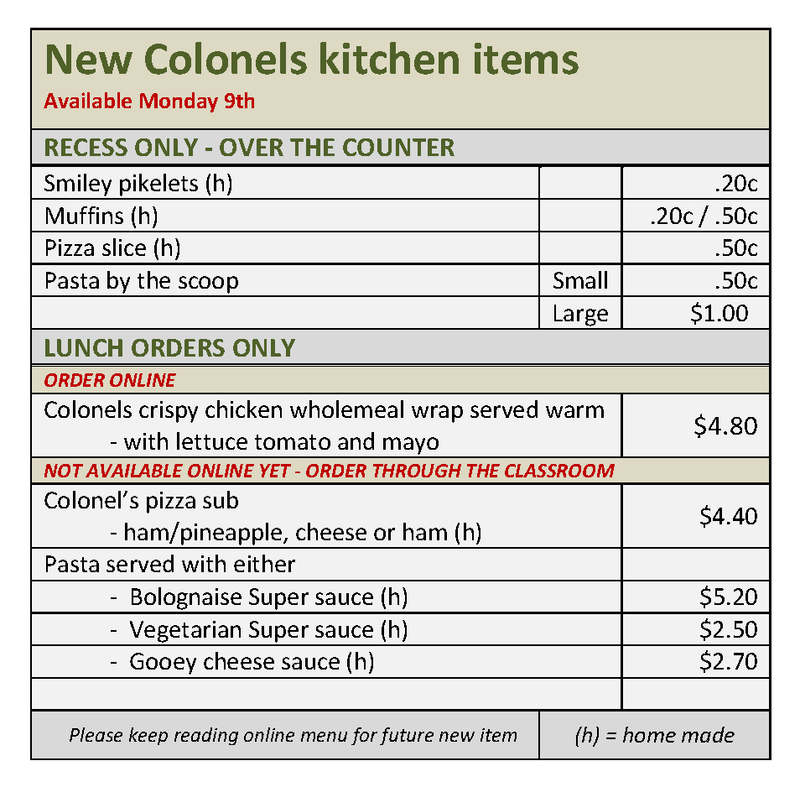 REMINDER: THE NEW CANTEEN PRICE LIST BECAME EFFECTIVE THIS WEEK!! This entry was posted in CANTEEN, Previous Posts and tagged CANTEEN on September 4, 2018 by meganclg. N.B. Sushi Orders for SPECIAL LUNCH on March 6th CLOSES 12pm THIS WEDNESDAY! This entry was posted in CANTEEN, Previous Posts and tagged CANTEEN on February 26, 2018 by clgpschool. 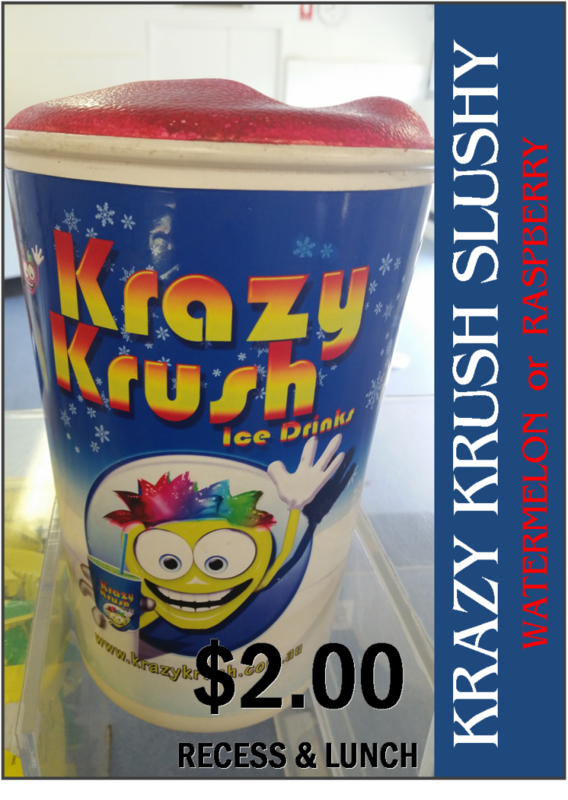 CLG Canteen now has Slushies!! This entry was posted in CANTEEN, Previous Posts and tagged CANTEEN on January 31, 2017 by clgpschool. This entry was posted in CANTEEN, Newsletters, Sporting & Sapsasa Events and tagged CANTEEN, newsletters on November 3, 2016 by clgpschool. 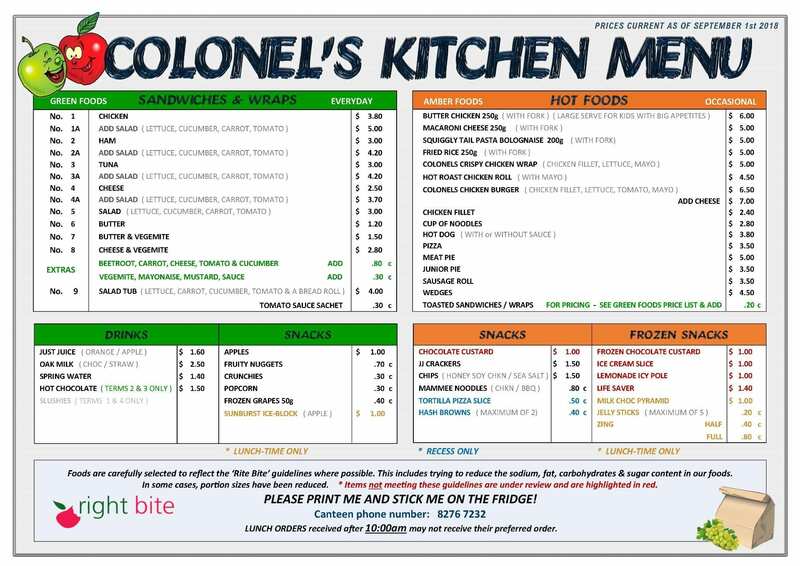 This entry was posted in CANTEEN and tagged CANTEEN, downloadable forms on April 13, 2016 by clgpschool.